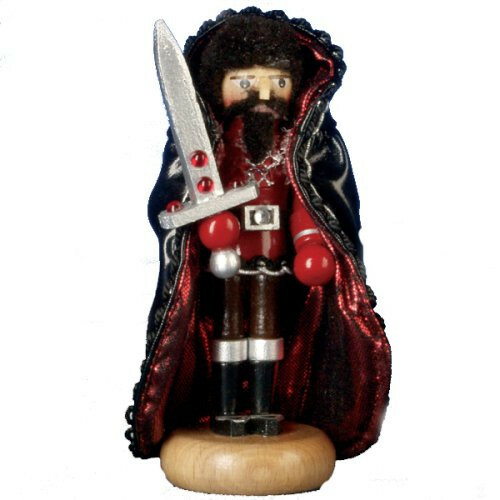 He may not be one of Robin Hood's merry men, but this Sheriff of Nottingham nutcracker from Steinbach is sure to put you in a happy mood. He may not be one of Robin Hood's merry men, but this Sheriff of Nottingham nutcracker from Steinbach is sure to put you in a happy mood. Skilled German artisans create Steinbach nutcrackers through a tradition that dates back to the 1800s. Meticulously crafted with a combination of hand-carving, hand-painting, and power-drill polishing, each Steinbach nutcracker is unique. The Sheriff of Nottingham would make a lovely gift for a literary-minded friend, someone in law enforcement, or anyone who admires fine craftsmanship.